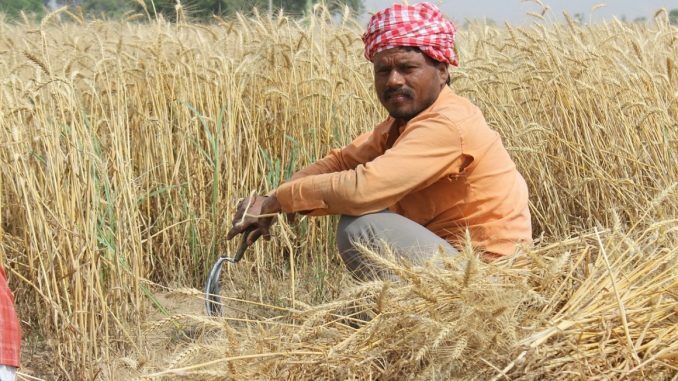 Is Climate Change Killing the Indian Farmer? The starkest manifestation of India’s ‘agrarian crisis’ is suicides by farmers that have taken place in increasing numbers – 8,000 in 2015, a 42% increase from the year before, and according to data reported so far from only five states, around 7,000 in 2016. Commentators have focused on every issue from farm productivity to loan waivers to governmental promises in analysing the crisis. Despite so much having been said – and perhaps partly because of it – something as extreme as taking one’s life has, at one level, come to seem like a familiar happening. For most of us who live in cities, the lives and deaths of farmers are, although tragic, events happening elsewhere to others. At the risk of adding to the high level of exchange, but in the hope of making that exchange more meaningful, we need to still ask: how do different parts of the discussion fit together? Can we make the different analyses of the subject relate to each other more revealingly? Two recent empirical studies give us ways of doing that. The first study, conducted by a Doctoral candidate in Agricultural and Resource Economics at the University of California at Berkeley, draws a positive correlation between rising temperatures and farmers’ suicides in India. Comparing data on suicides, crop yields and cumulative exposure to temperature and rainfall across India, Tamma A. Carleton finds that for temperatures above 20º C, a 1º C increase on a single day causes 70 suicides on average during growing season. Temperatures during the non-growing season have no identifiable impact on suicide rates. Additionally, with rising temperatures, crop yields fall during growing seasons, but react minimally during non-growing seasons. This suggests that rising temperatures increase suicide rate through an agricultural channel of lowered crop yields. The study concludes that warming over the last 30 years has caused 59,300 suicides. This accounts for 6.8% of the total upward trend in India’s average suicide rate over the past three decades. The second study, conducted at the University of Florida at Gainesville, has found that rising temperatures lower the yields of wheat, rice, maize and soybean globally, with the effect of decrease varying geographically. Using four different analytical methods, Senthold Asseng, Professor of Agricultural and Biological Engineering, and colleagues conclude that farming adaptation strategies that are specific to crop and region will be needed to ensure global food security. According to the National Crime Record Bureau, more than three lakh farmers have committed suicide over the past 21 years in India. What significance do Carleton’s and Asseng’s findings hold for this crisis and the larger debate about the state of India’s agriculture and farmers? Academics and activists in India have severely criticised Carleton’s study. T. Jayaraman and Kamal Kumar Murari of the Tata Institute of Social Sciences and Madhura Swaminathan of the Indian Statistical Institute have said Carleton’s assumptions, use of data and analysis are flawed. Specifically, they say, she has included urban suicides in a study of agricultural suicides, left out cotton and other cash crops associated with suicides, analysed only kharif season crops, leaving out the Rabi season, and considered anything above 20º C extreme, in contradiction of what is known about temperature dependence of crop production. For G.V. Ramanjaneyulu, director of the Centre for Sustainable Agriculture, Hyderabad, and Devinder Sharma, an activist and writer working on issues of global warming, Carleton’s study is problematic in other fundamental ways. While acknowledging that there are many non-climatic drivers of suicide in India, Carleton says that these are not the focus of her present study. She uses a regression analysis to control for regional trends and isolate climate from other drivers of suicide. However, according to Ramanjaneyulu and Sharma, this isolation of climate from other drivers presents a distorted picture, even while the statistical methods and final figures may be accurate. According to Ramanjaneyulu and Sharma, a number of factors have driven the larger crisis of farmers’ suicides in India, with the primary reason behind it being persisting income insecurity, not rising temperatures. These factors include an excess of monoculture, decreasing soil moisture, a shift from low water to high water crops coupled with lower rainfall, fragmented land holdings and a complete failure of insurance schemes. In July this year, the Comptroller and Auditor General of India as well as the Centre for Science and Environment, an NGO, reported that government insurance schemes – the National Agriculture Insurance Scheme (NAIS), the Modified NAIS, the Weather Based Crop Insurance Scheme and the Pradhan Mantri Fasal Bima Yojana (PMFBY) – had primarily benefitted the insurance companies rather than the farmers, with the companies making a cumulative Rs 10,000 crore in profit. Ramanjaneyulu explains that the PMFBY has been designed with bankers and not farmers in mind. Loan waiver schemes similarly mostly benefit the landowners and not the actual cultivators. Moreover, only 20% of farmers get access to institutional credit and therefore benefit from loan waivers. The majority resorts to borrowing from private moneylenders at exorbitant rates, which increases indebtedness. Carleton warns that without tools that alleviate the impacts of climate on income, such as crop insurance and investments in adaptation, warming will be accompanied by a rising number of lives lost to self-harm. While this may be true, for Ramanjaneyulu and Sharma, insurance schemes and loan waivers function as temporary fixes even when they do work well, rather than permanent solutions to low income and indebtedness. Such schemes must be accompanied by longer-term measures to permanently pull farmers out of that cycle. Variations in weather – warming as well as drought and floods – add to the risk of farming. But farming has fundamentally become a severe risk, to the point of farmers committing suicide, because successive governments have made it completely economically unviable, through not putting into place a proper pricing mechanism that responds to increases in the costs of cultivation and living. While costs of production have increased by 15-20% and the cost of living by 10-15%, the prices of crops have risen by less than 5%. The salaries of government employees have increased over the past 45 years in keeping with the rise in cost of living, but farmers are starving. The average monthly income of a farmer in 17 states in India today is only about Rs 1,700 rupees. It is the market to which policymakers and economists, who have assured incomes, have left farmers’ incomes, but it is the market that continues to fail farmers. The Narendra Modi government at the Centre has failed to implement its promise, made before the 2014 general elections, of providing 50% profit over cost of production to farmers, who have instead got negative returns on much of their produce. As Ramanjaneyulu notes, when consumer prices go up, the government is quick to intervene, but it does nothing for the producers when prices fall. The logic behind not raising the minimum support prices of crops has been food inflation. But in effect this means that farmers continue to pay the price of inflation and subsidise the nation’s food. Focusing on increasing yield while allowing markets to set prices is part of the flawed policy that focuses on production over farmers’ welfare and mainly benefits input providers. Successive governments have failed to provide India’s farmers with adequate incomes because of their lack of vision and long-term planning. In the absence of this vision and planning, insurance schemes and loan waivers are little more than populist measures to procure votes. What Carleton’s and Asseng’s studies do is alert us to the need to take agricultural adaptation to rising temperatures seriously and to the Modi government’s double standards, in its pledges towards climate change on the one hand and its actions on the other, which are in line with an aggressive, unsustainable model of development. At the COP 21 summit ahead of the drafting of the Paris Agreement, Modi said India would enlarge its forests to absorb 2.5 billion tonnes of carbon dioxide. On returning to India, however, he directed the environment ministry to loosen its regulations so that coal mines were exempted from public hearings. In his recent joint announcement with French president Emmanuel Macron, Modi said India would go “above and beyond” the Paris Agreement to fight climate change. But since he came to power in 2014, his actions have favoured corporations whose interests go against climate change goals. He has cleared industrial projects in greater numbers and with greater speed than has been done ever before, as well as increased the validity periods of industrial licenses. His government, backed by economists, market analysts and bankers, continues to bailout the corporates and industriesthat are driving India towards this unsustainable future, while the issue of waiving farmers’ loans is typically met with debates about morality and credit discipline. The managers and bankers who have assured incomes and who never need to protest for their welfare are a part of the group that argues that corporate bailouts are a capitalist necessity on the one hand and that farmers’ incomes should be left to the market on the other. The double standards are clear here, for when it comes to bailouts, farmers do not seem to be a part of the same capitalist system as the corporates to whom most of the non-performing assets belong. This industry- and urbanisation-based model of development is taking India towards a future that is wholly unsustainable and in which rural India seems to have no real identity and play no real part. As Nagraj Adve, a Delhi-based activist and writer working on issues related to global warming, writes, our identities and collective futures are fundamentally ecologically embedded. Rather than positing rural India as separate from urban India and farmers as different from the rest of ‘us’, India’s natural environment, villages and farms must be treated as inseparable from its human-made environments and nourished as the bedrock of the country’s future. Rather than focusing on cities that are ecologically destructive and assuming people from villages will move to them, the government needs to make agriculture the pivot of growth towards a sustainable future for the whole country. Further, it is vital that farmers’ suicides and protests be understood in this larger context. To not do so would be to underscore the inferiority bestowed on them by dominant narratives and to reduce them to a category and faceless figures, as empirical studies such as Carleton’s threaten to do. One of the drawbacks of statistical analyses is that they can create a kind of fog around the complexities that comprise the complete picture and also around the ultimate that is suicide. Rather, as Sharma writes, farmers’ suicides must be understood as identity assertion – a form of resistance to the model of development being followed by the Indian state. To not recognise the complex humanness of the protests and lives being lost is to fuel the crisis, no matter how smart our temporary fixes are. In other words, farmers’ income security and being in tune with the climate must be a part of the same outlook towards and plan for India’s agriculture and development. India cannot truly progress unless its farmers are healthy and prosperous, its farms productive, its villages and cities sustainable – all of which are interdependent and can only be achieved through systems working together. Put another way, while it is useful to ‘isolate’ different parts of the issue and for specialists to address the larger issue through their own areas of focus, it can become ultimately limiting. At the next level, we need specialists and planners in agriculture to work with those in climate change as well as with those in design and architecture and other fields. An empirical study that isolates the effect of climate on suicides or crop yields must be understood alongside a sociological or ethnographic one. Indeed, this shortsightedness is not limited to agriculture. We have an agrarian crisis today because we have failed to think through what kind of agriculture we need, just as we have other crises because we have failed to think through what kinds of schools, cities and offices, systems and spaces, we need. In not just agriculture but also in education, urban infrastructure, healthcare and every other fundamental area, on the technological and political level as well as on the level of the individual and community, we borrow from and imitate those who seem to have succeeded – without intelligently inventing or adapting in ways appropriate to us. To not understand the importance of an integrated approach towards development appropriate to us is to continue to fail as a postcolonial nation.